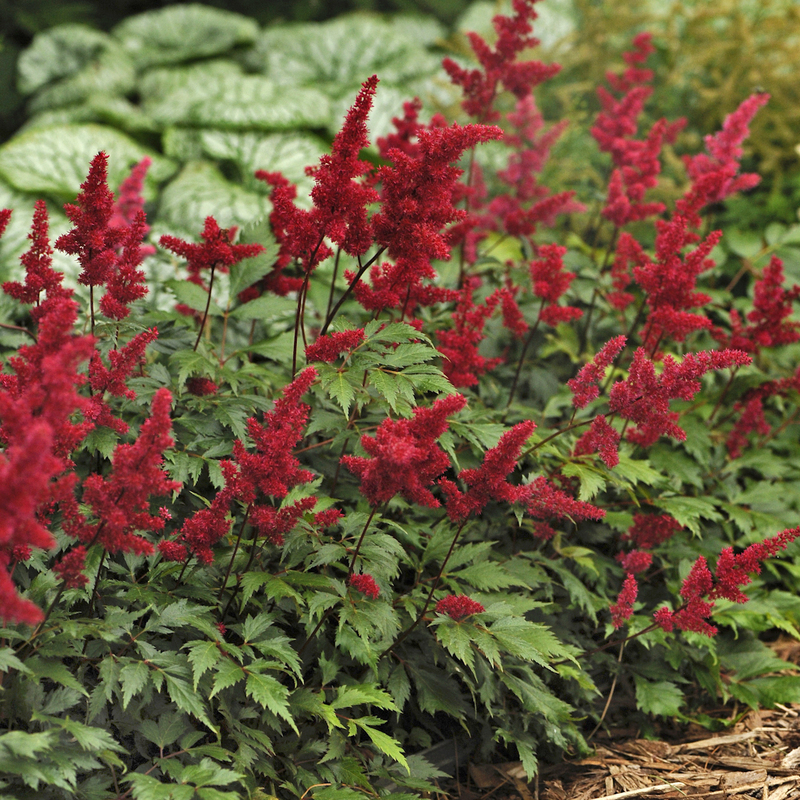 Astilbe arendsii 'Fanal' features rich red flowers atop glossy, dark green foliage. One of our favorites! This hardy perennial makes a great companion plant to hostas, hydrangea and heuchera. An award winner that does not disappoint.